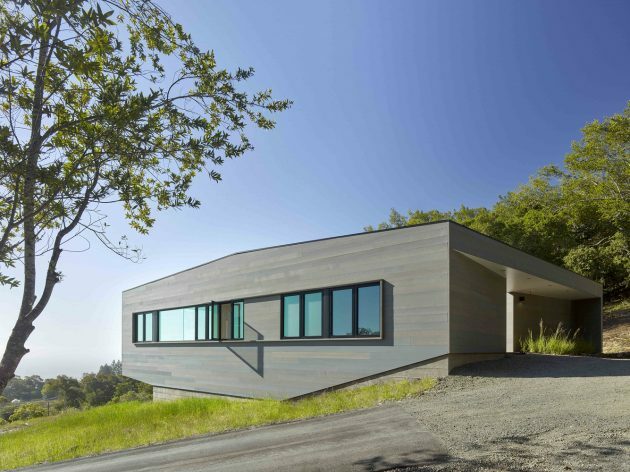 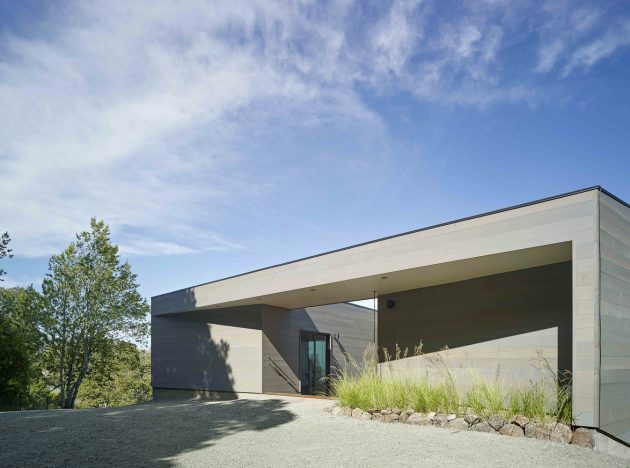 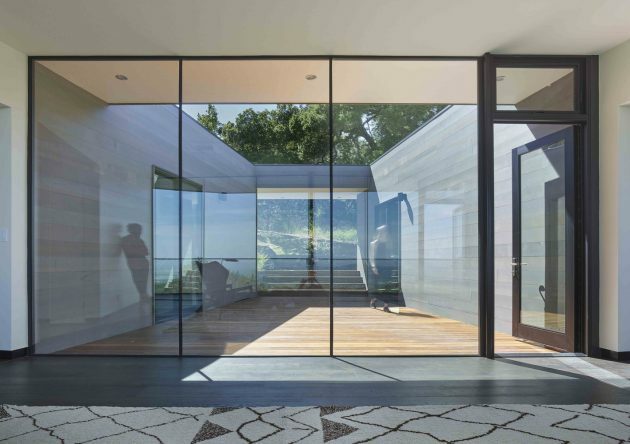 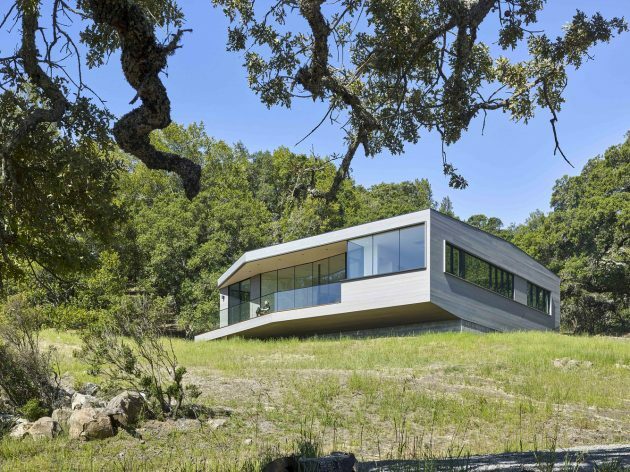 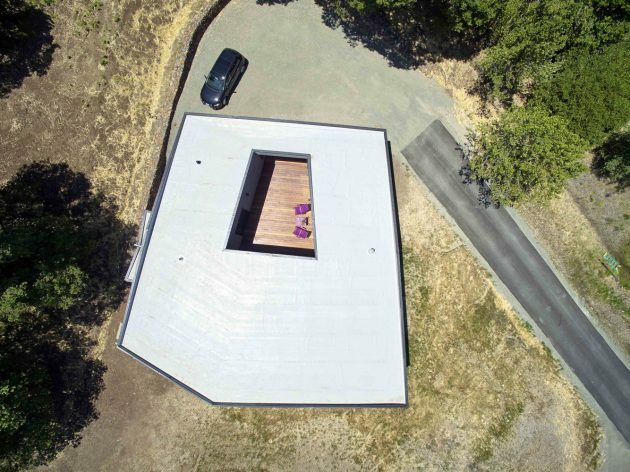 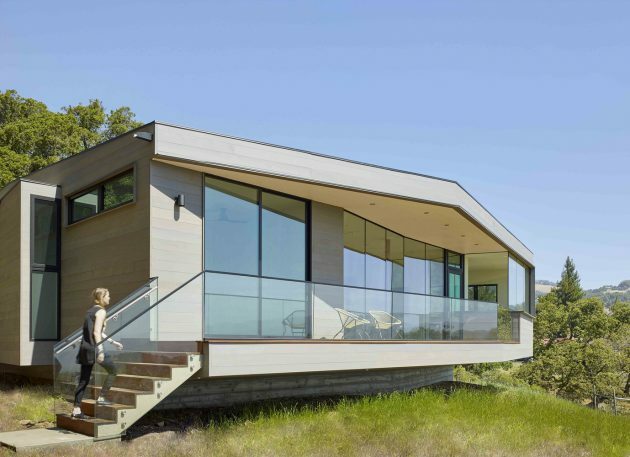 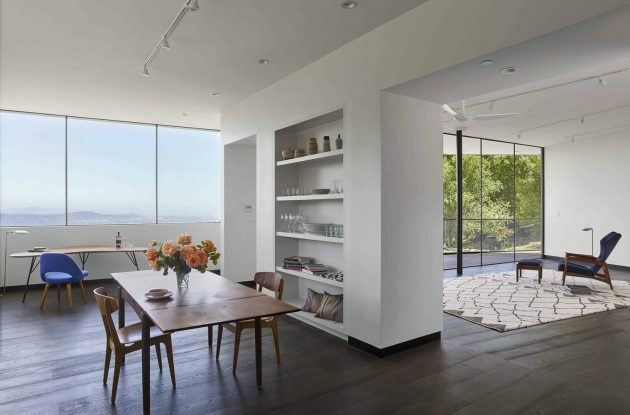 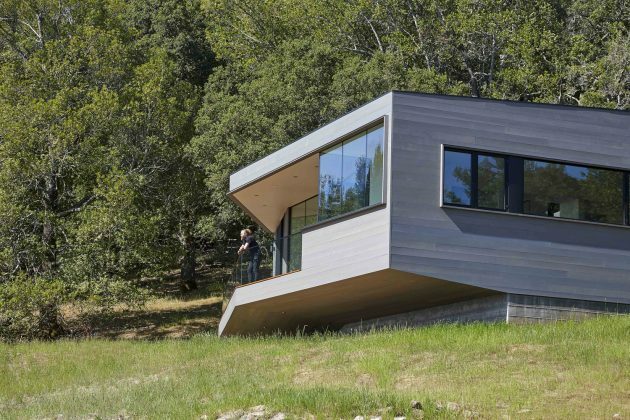 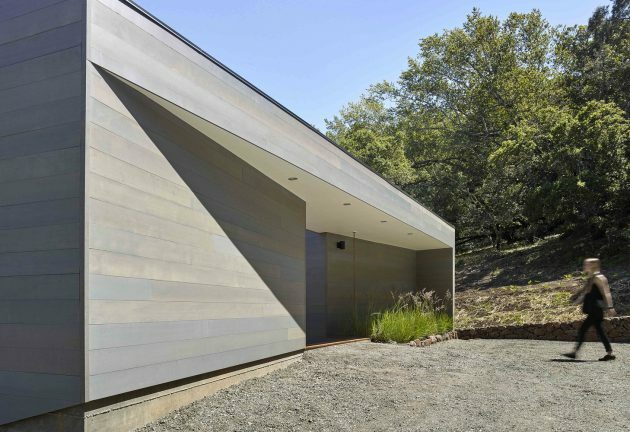 Box on a Rock is a modest contemporary residence located in the hills above the Sonoma Valley in California. 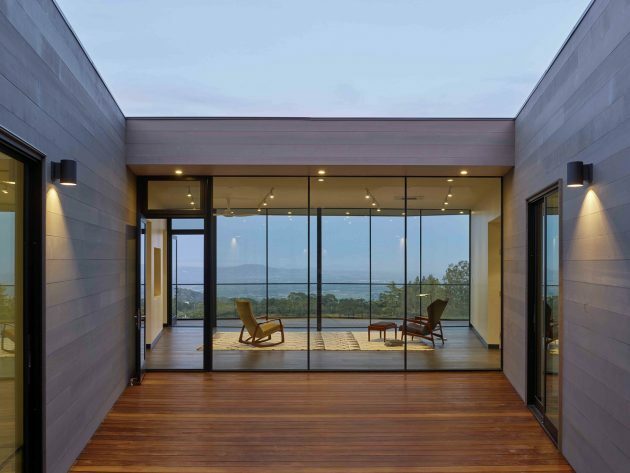 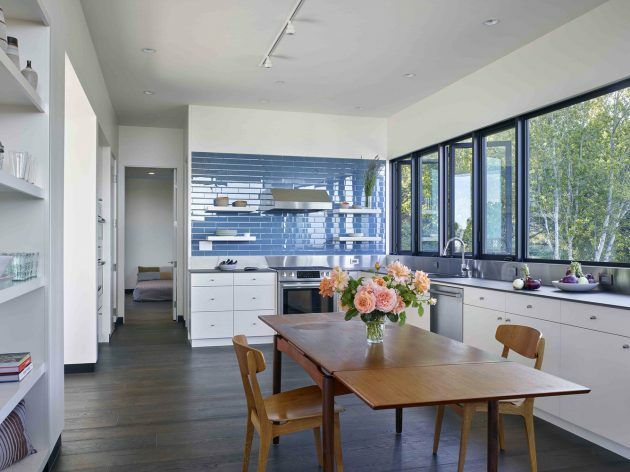 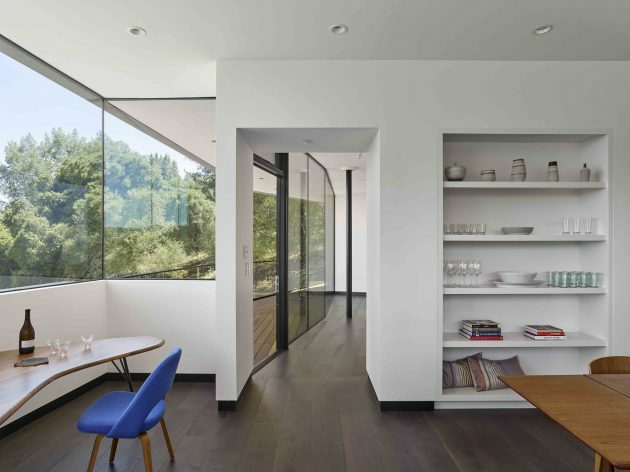 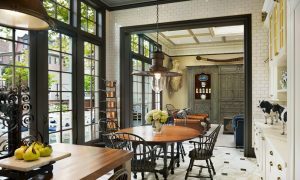 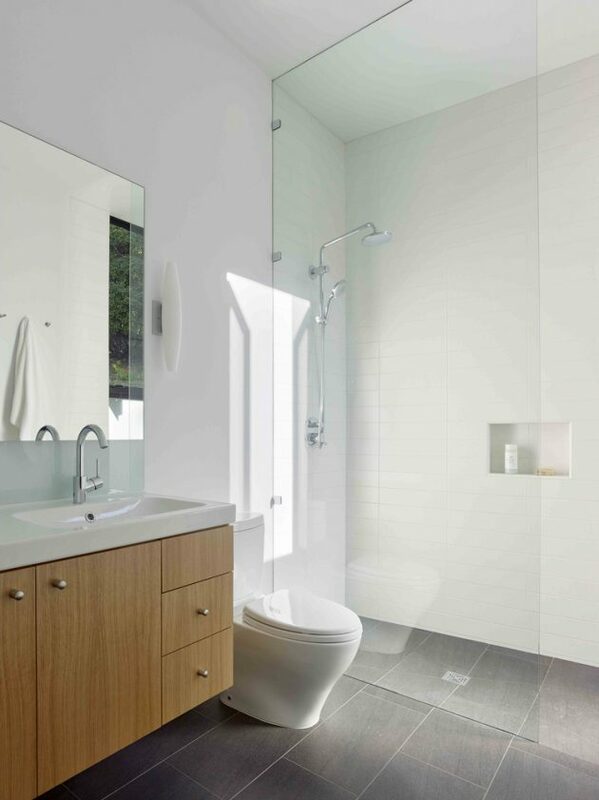 This 2,000 square feet home was designed and completed by Schwartz and Architecture. 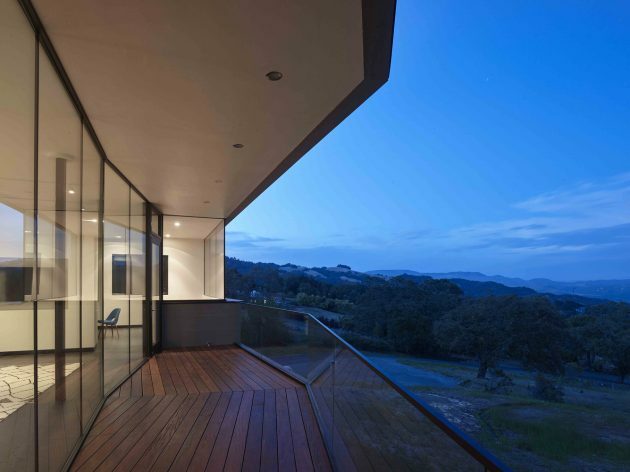 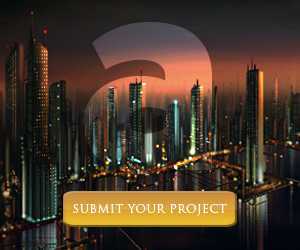 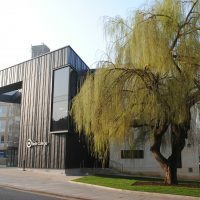 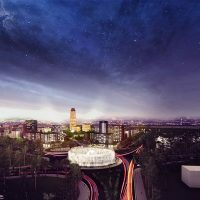 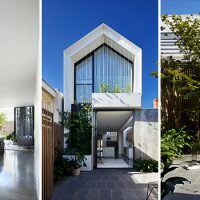 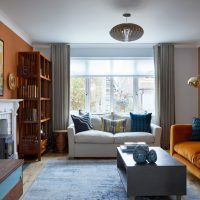 Its designed began as nothing but a simple box due to the constricted footprint of the site. 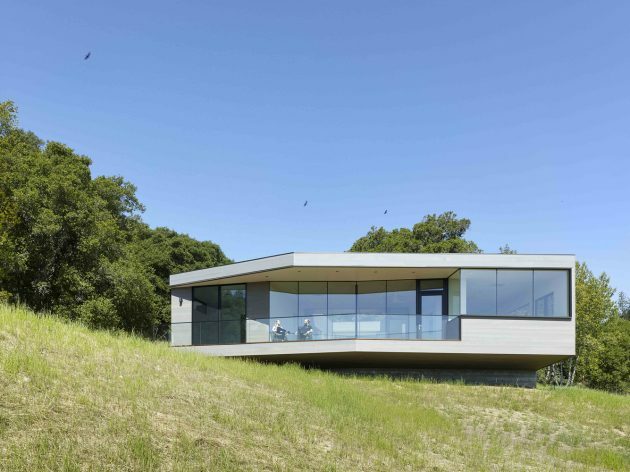 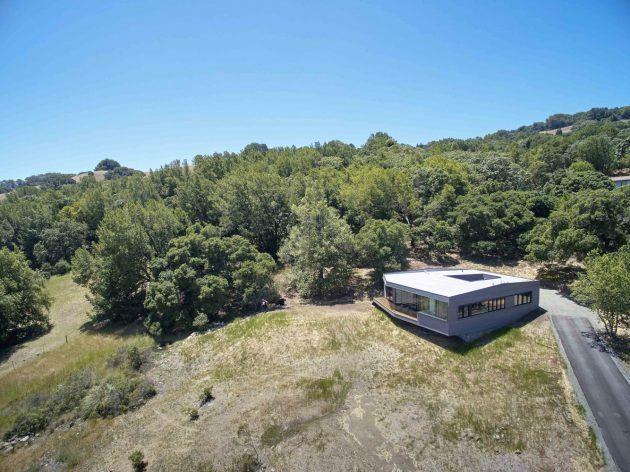 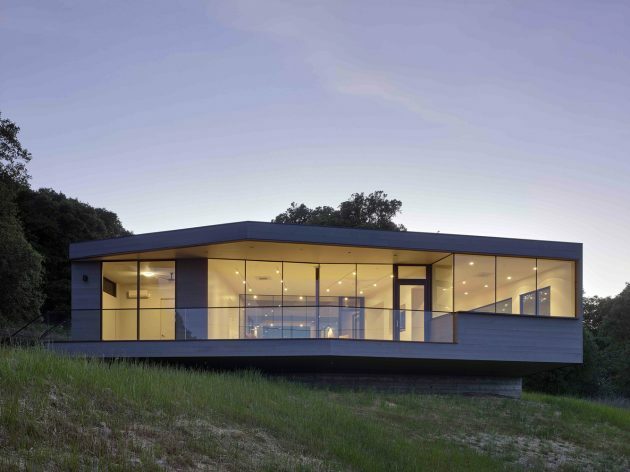 The constricted footprint of the affectionately-named “Box on the Rock” is a response to a limited budget and a difficult site; shallow underground waterways run across the hillside, daylighting in unexpected and unwanted locations. 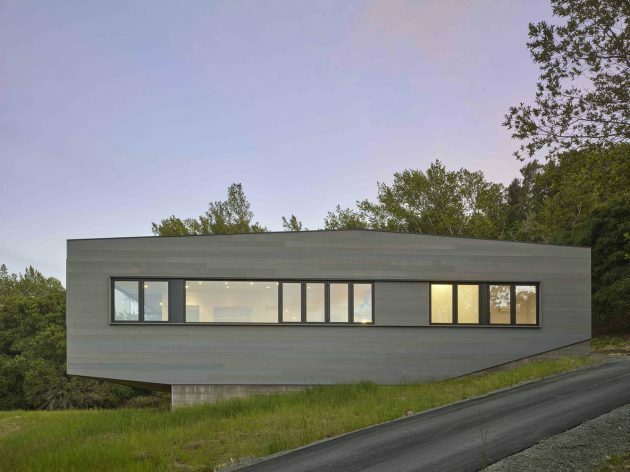 This unreliable terrain necessitated relatively expensive pier footings, thus motivating an extremely compact and efficient 2,000 sq ft footprint. 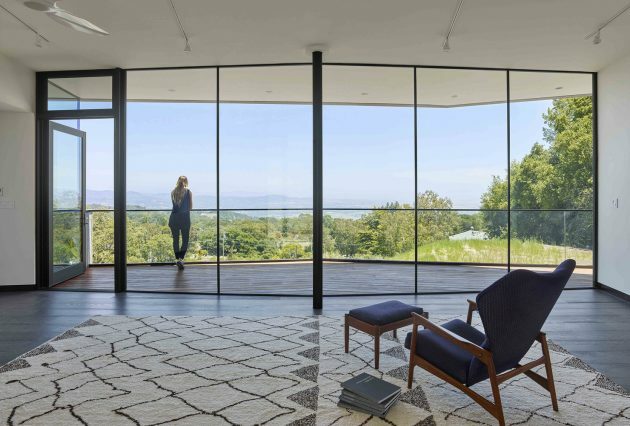 Given no initial resources to develop the wild scrub and rock landscape of the 3-acre property, the home becomes a lone outpost settling the higher ground of the larger natural site – a box on the rock. 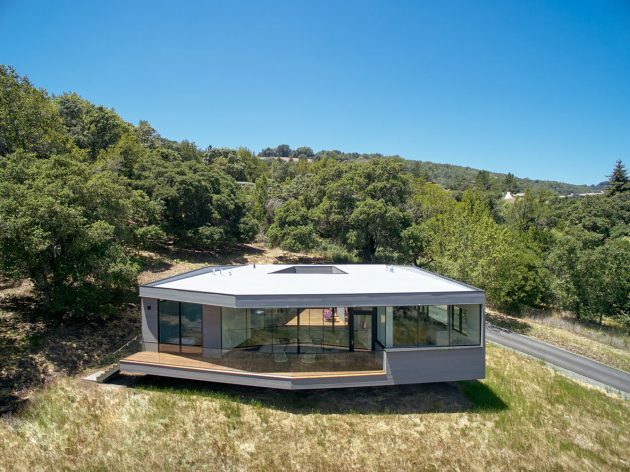 Subjected to the extremes of the wine country microclimate on the exposed site, the central courtyard and the cantilevered deck are strategically carved out of the diagrammatic box to ensure that over the course of the day, temperate options for both sun and shade are always available. 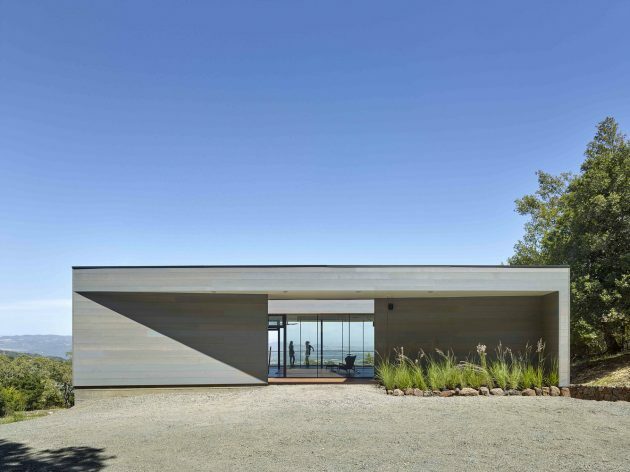 In particular, the geometry of the overhang at the front cantilevered deck and the inward angle of its exterior glass walls are carefully calibrated to capture morning sun and winter warming while shielding the internal space from the harshest summer glare. 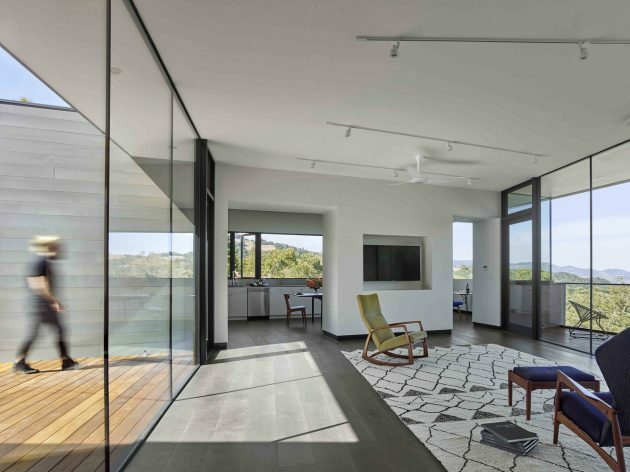 Later in the day, the central courtyard comes alive as the sunniest developed outdoor space, yet one that is naturally cooled by capturing the valley cross breezes. 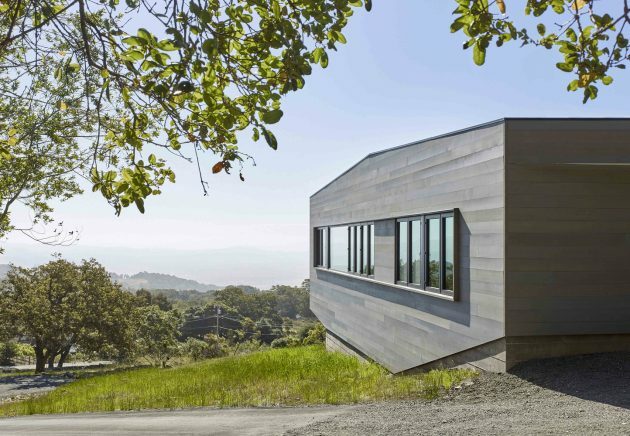 With an economy of means, a simple box morphs to amplify the experience of this new home’s dramatic site. 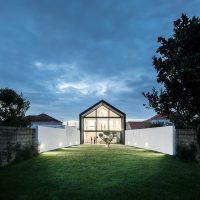 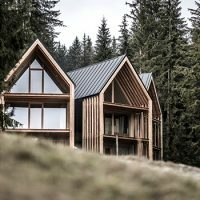 Each adjustment to the diagrammatic box negotiates functional and environmental demands to create a self-contained and site-specific home with a minimal environmental impact.